Feeding a family is a long, complicated process full of stops and starts. Great marketers are addressing every phase to attract, reclaim, or retain customers. With fast-moving low-margin goods like groceries, repeat purchases are paramount. Where to Buy (in-store) helps find a brick and mortar store near you carrying the product. Where To Buy is particularly helpful for items with limited national distribution or seasonal items. 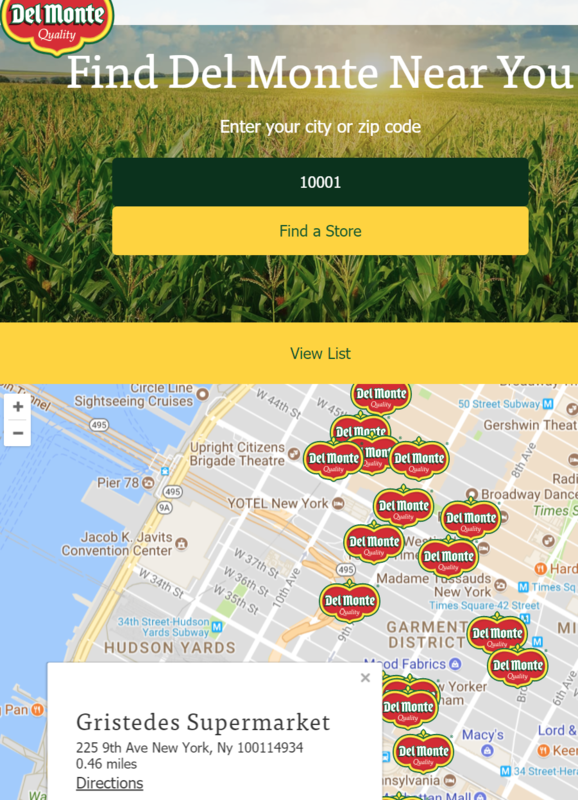 PROs: Helpful for hard to find items. Helps internal consumer services teams with availability questions. CONs: Value decreases when you have national distribution for most items. Brand product detail pages tend to have low traffic. Single item purchases in grocery are less common. Hard to attribute sales. Single product focused Buy button getting you to the product detail page at an online retailer. PROs: Gets me past a few more steps to the product detail page. Shows pricing information, which is particularly significant for single item purchases. Much improved metrics on impressions, clicks, conversions. CONs: Same as Where to Buy locally CONs, except attribution is much more measurable. Your own store, usually running on one of many popular eCommerce platforms. Effective if you have limited national distribution AND your categories are often purchased stand alone. Nutrition supplements or products focused on specific diets are a good example. PROs: You may control the shopping experience all the way to the home. Best overall metrics. CONs: Can be expensive to maintain online store. Expensive to drive consumer traffic to your site (vs. a larger retailer). More effective for niche brands with low national distribution. 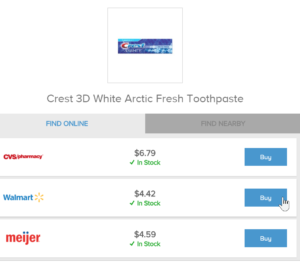 Similar to Where to Buy online, but the product is added directly to the cart. I could not find a real-world example of this for a single item, so what you see here a mockup. A Facebook or Google Adwords ad may lead to this shoppable experience vs. a product detail page. 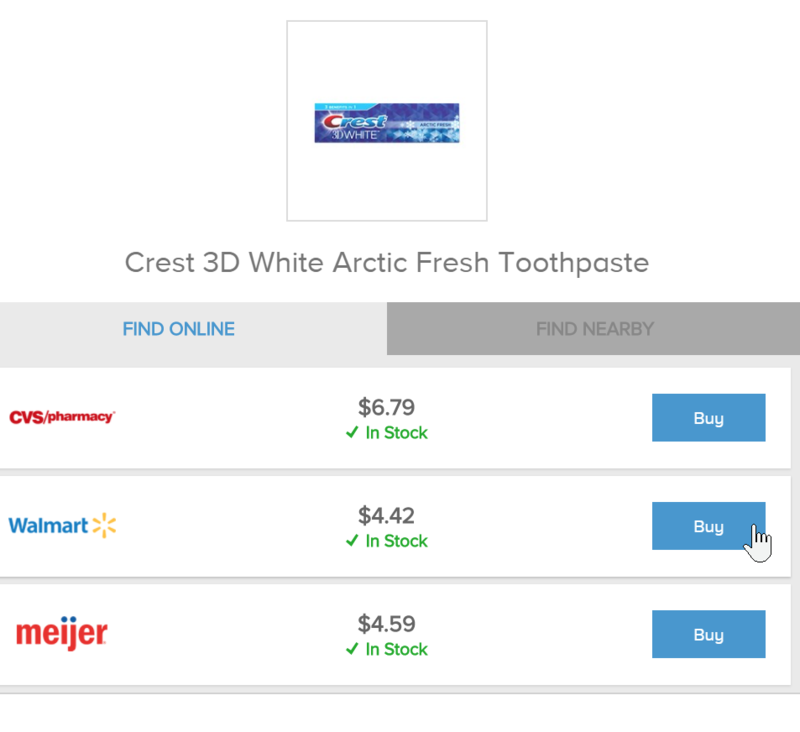 May be useful for targeted campaigns of online grocery shoppers for new items or line extensions. 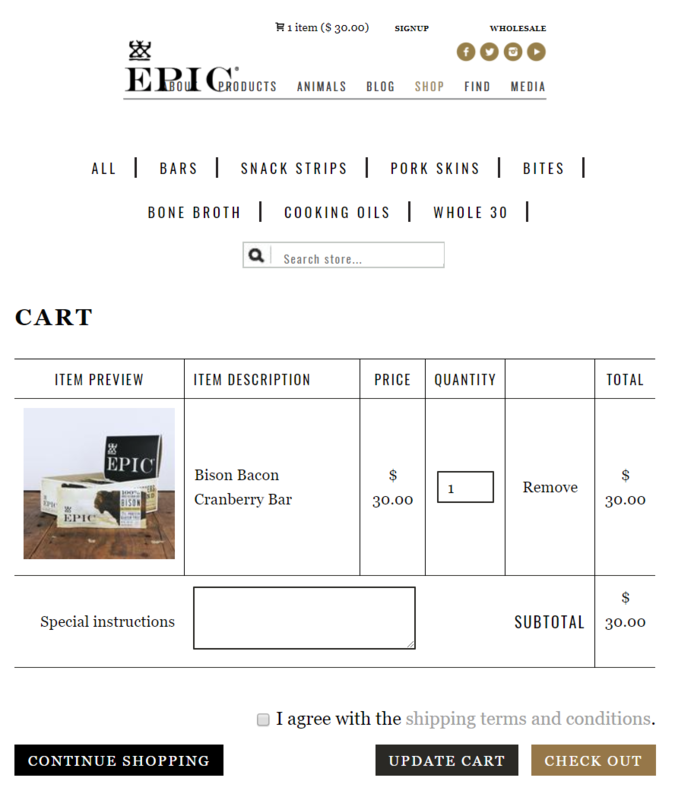 PROs: Can keep the shopper on your site. 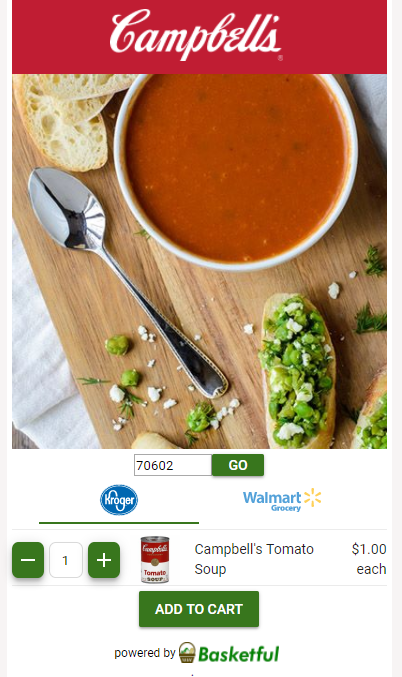 From Ads, can allow post-add interaction with shopper. Eliminates additional add to cart step for shopper. CONs: Same as Where to Buy online. Brands, Retailers, and Publishers have long published recipes on product packaging, in magazines, and on their websites. Most of this content was written for print, then later digitized. Now in digital format, recipes are usually written to be made, not shopped. A handful of companies have leveraged big data, machine learning, artificial intelligence, and proprietary algorithms to make these recipes shoppable. PROs: Advances a step past Buy Now, directly into the cart itself. Allows bundling of products to be added (recipes are one example). Improved performance measurement for bundled content. Simplified experience (fewer steps) vs. Where to Buy (in-store) or Buy Now online. 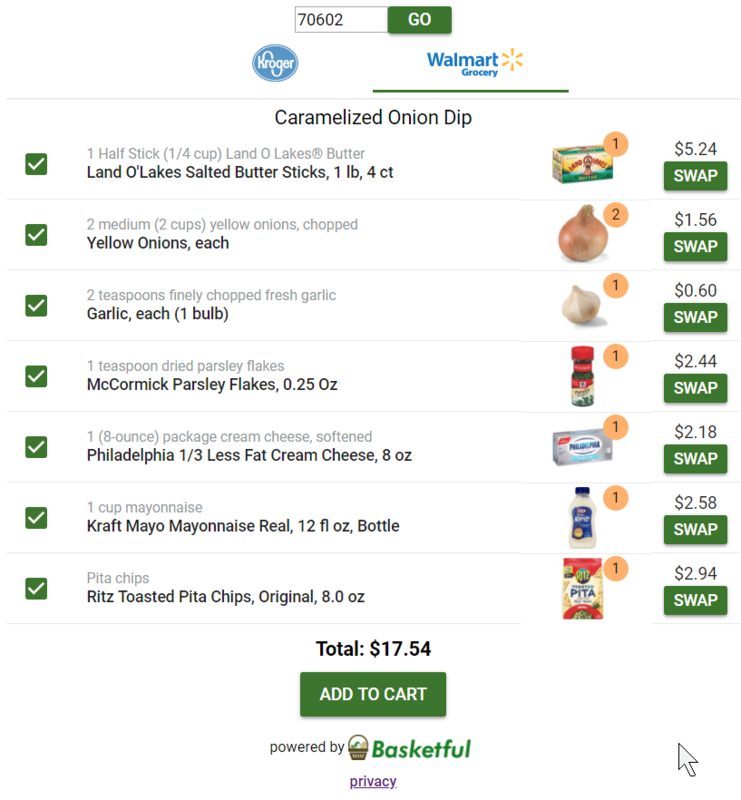 CONs: Until Amazon Fresh, Walmart Online Grocery pickup, and Kroger Clicklist, and others have affiliate programs for their fresh grocery offerings, hard conversion data may need to be proxied. Getting into the cart heavily influences repeat purchases. Online grocery shopping can be personalized in ways that were impossible in-store. Past purchase history, easily available at the digital point of sale, helps shoppers build their list quickly and heavily favors repeat purchases. Repeat purchasing overshadows initial purchase in the low-margin, high volume grocery environment. While marketers have a variety of tools available to make their content immediately more shoppable online, the goal is repeat purchases. If your product does not get used, it’s not likely to be repeat purchased. 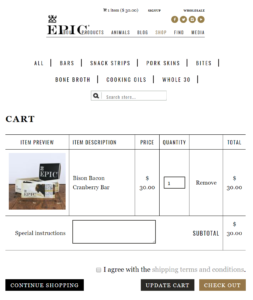 Getting into the cart is an improvement, but genius brands extend their value beyond the cart into making and experiencing. The problem is not expertise or content, it’s making use of them. Brand and Publishers are reinventing the way they interact with shoppers as they get immersed in the eCommerce context for grocery (e.g. lower sensory input, higher behavioral input, no temp state limitations). Brands and Publishers find themselves with the shopper at decision points that were once unreachable. Winning brands will provide natural bridges and contextual help post-purchase. Great solutions in this space will keep pushing beyond the cart, into the house, into the kitchen, at the table, and back to the store. Successful brands will succeed because they genuinely care about the food, the family, the meals, and improving the human experience.